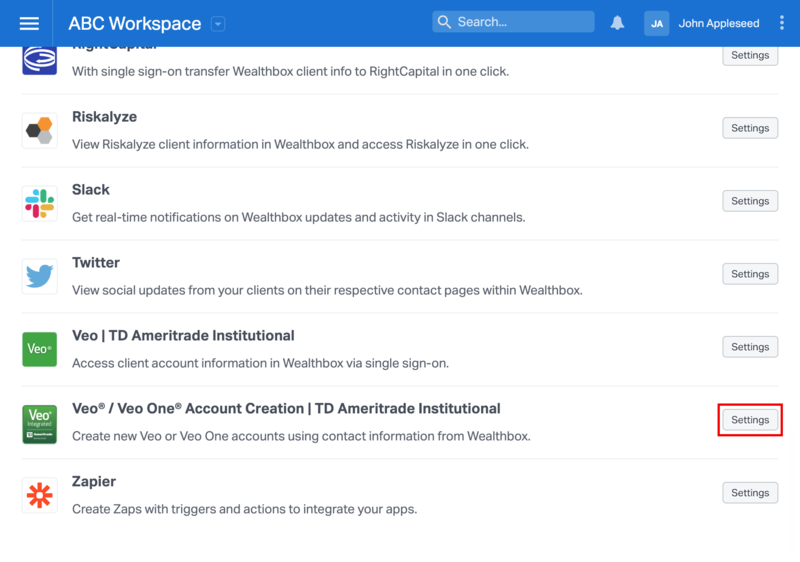 From the three-dot menu in the top right corner of Wealthbox click on "Applications", then click the "Settings" button for the Account Creation application as shown in the below screenshot. 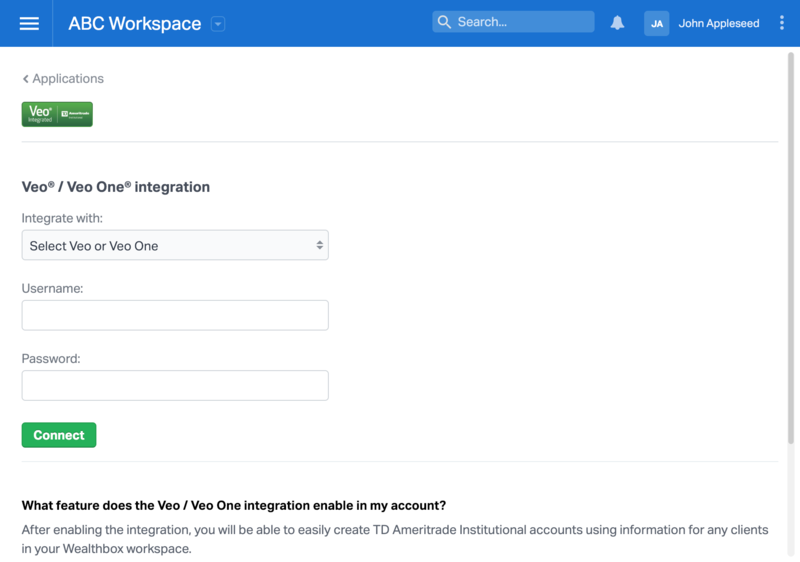 On the Veo / Veo One integration application page, select the system you'd like to integrate with (either Veo or Veo One), enter your username and password for that system, then click the "Connect" button. 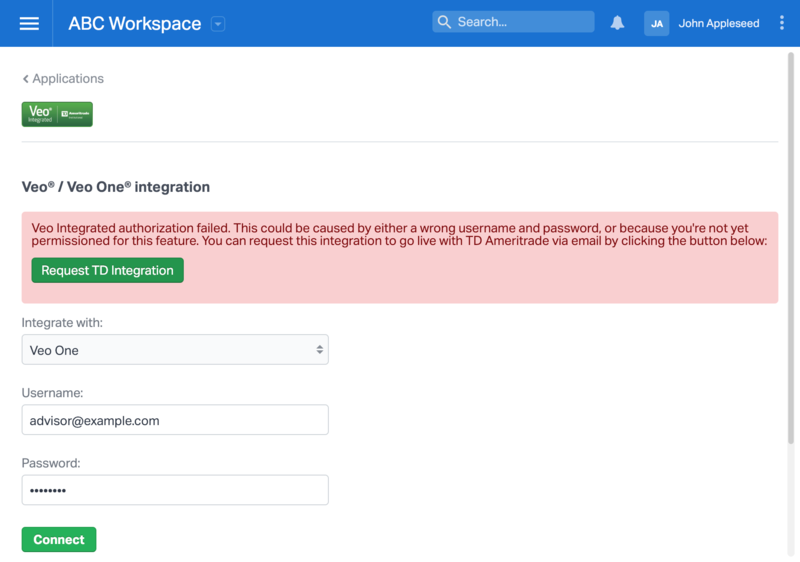 If your authorization attempt is unsuccessful, double-check your username and password and try again. Once you have verified they are correct, click the "Request TD Integration" button. This will open an email to TD where you can request that they grant you permission to access the New Account Opening Feature from Wealthbox.